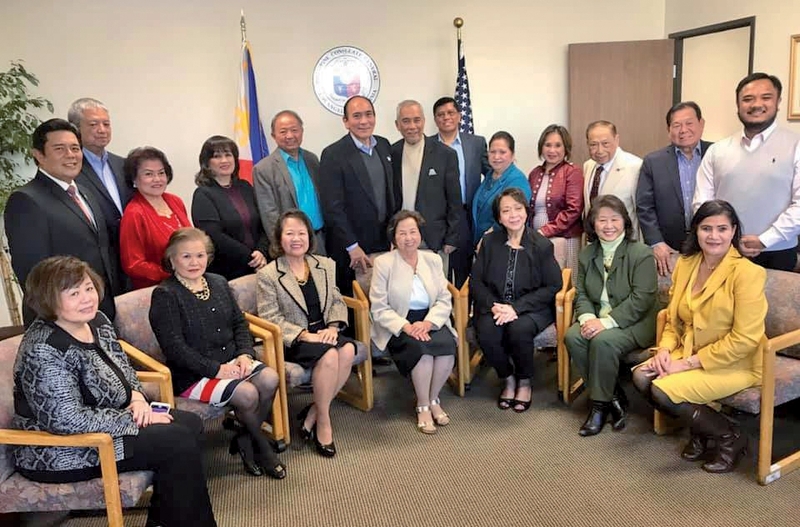 PeDRO (Philippine Disaster Relief Organization) held its induction of new officers and members at the Philippine Consul General’s offices in Los Angeles on Wednesday, January 9th. Leading the induction ceremony was Honorable Consul General Adelio Cruz, who gave an inspiring message of leadership and hope especially for the future of the coming generations. PeDRO’s incoming President, Benito M. Miranda, thanked immediate past President, Archerie Calunod, for his unwavering dedication, for his service to PeDRO and for raising awareness about those who suffered difficulties from recent disasters.